Life is good when Mr. Red Legs, and Wonder Woman show up at the same event. I love that our local PNC Bank supports our local Reds team. 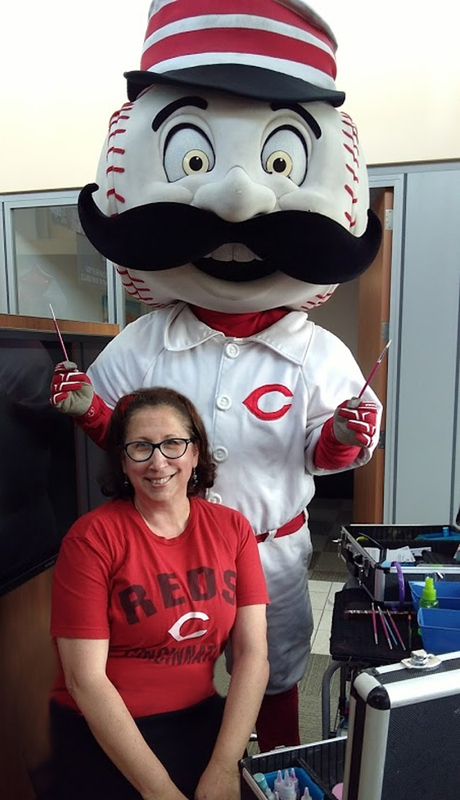 Mr. Red Legs stopped by to have some fun with paints at PNC Bank. 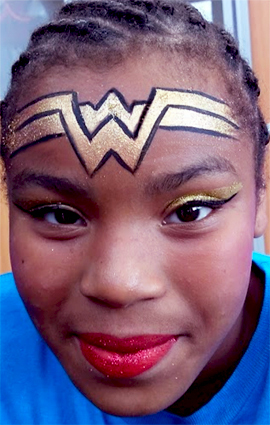 What a lovely Wonder Woman she became. This entry was posted in Recent Events on July 19, 2017 by Joyce.